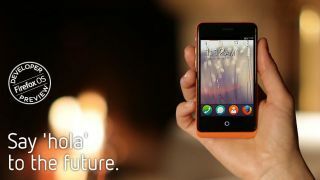 Can Firefox OS make it? It's all been a little bit quiet on the Firefox OS front recently but the HTML5-based project has perked right back up with the announcement of two handsets. The phones go by the names Keon and Peak, with the former sporting a burnt orange chassis, single-core 1GHz processor, 512MB of RAM, 4GB of internal storage, 3.5-inch HVGA display, 3MP camera and 1,580mAh battery. The white Peak is a slightly classier affair, with a 4.3-inch qHD IPS display, 1.2GHz dual-core processor, 8MP rear camera with flash, 2MP front camera, 1,800mAh battery and the same RAM and internal storage as the Keon. Both handsets feature a microSD card slot, microUSB port, Wi-Fi and GPS and they come unlocked so you can stick in your own SIM card. The handsets have been manufactured by Geeksphone. Mozilla wants to bring "the power of open standards and an open community" to the world and is asking developers for a helping hand. To this end, Mozilla is inviting budding coders to attend worldwide Firefox OS App Days which it's billing as "hack days" providing the opportunity to learn, hack and share with the new platform. If you fancy getting your hands on a developer unit though you'll need to be prepared to shell out some cash – there are no free handsets a la RIM with its BlackBerry 10 Dev Alpha devices. Prices and the release dates for the Koen and Peak are currently unknown, but the official website for the handsets says, "The first developer preview devices specifically designed for Firefox OS are just around the corner." We lie in wait.